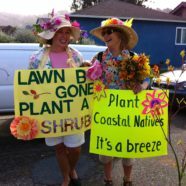 "Beauty Through Gardening and Envionmental Education"
We”ll be there on Saturday, September 27th, walking the parade route at the Annual Pacifica Fog Fest! We hope to see you there too. And as usual, no fog is expected! Visit Our Earth Day Booth! 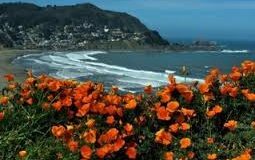 Celebrate Earth Day a the Earth Day Festival at Linda Mar Beach this Saturday the 20th of April. We’ll be having fun at our annual activity for children planting seeds in dixie cups. This is a great learning activity for budding gardeners! Excuse the pun. Your children can watch the process of plants growing and becoming food or flowers.